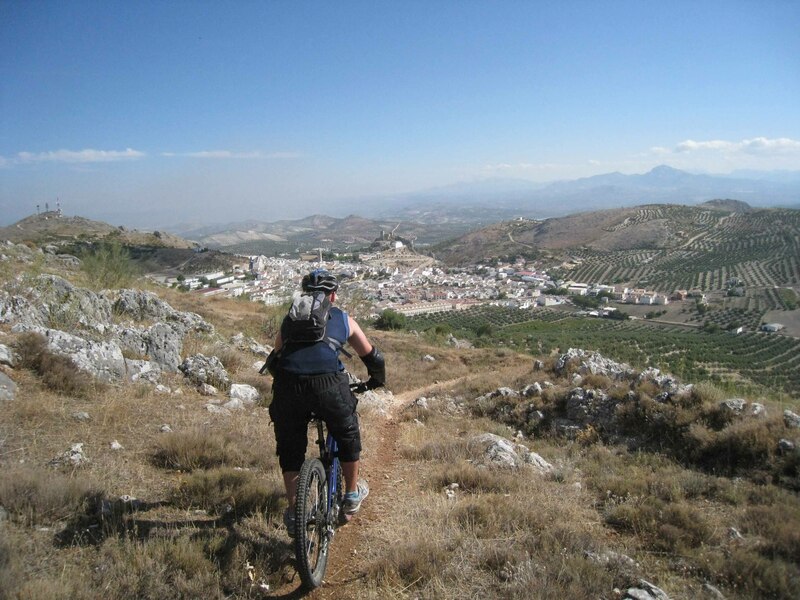 Our fully guided mountain biking holidays are aimed at intermediate to experienced riders looking to ride predominately Red & Black graded routes. Skills sessions are available on request, as are general riding tips and advice. Holding high level (600+ metres) mountain bike leader certificates, our qualified guides pride themselves in being holiday & trail guides first, mountain bikers second. We’re here on the trail with you at all times, not just to show you the start and then disappear in a cloud of dust! Ride duration and start time is variable and is totally up to the group. Most people prefer to set off at 10am and ride for approximately 3-5 hours. Depending on the time of the year (or the weather in general) we may use early starts to avoid riding at the hottest time of the day. We are very fortunate to offer a wide range of riding, over various types of terrain, all within easy distance of the accommodation. We will adapt a week’s riding to best accommodate a group’s ability. Due to the rocky nature of our trails, guests of all abilities will be tested at some point during their stay with us, but this is done in a controlled and calculated way. No one is forced to ride beyond their own limits. 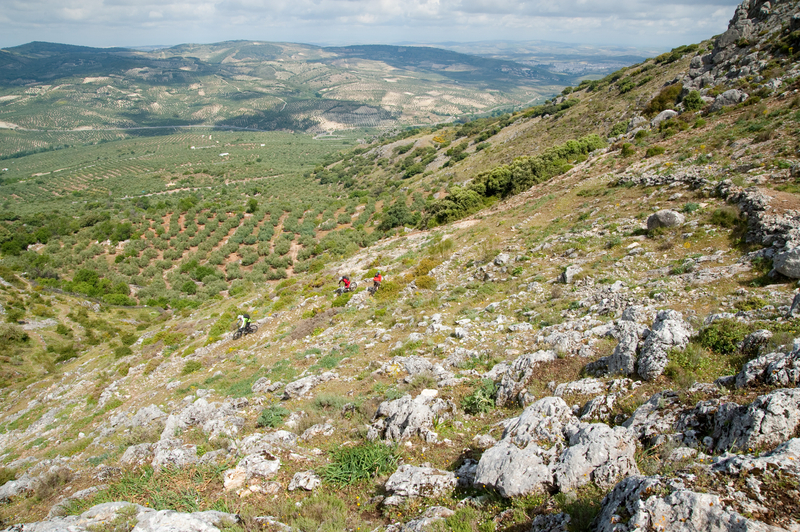 Although we can limit the amount of climbing on some of our routes, climbing hills is inevitable here in Spain, so make sure you bring those climbing legs! Uplift days and/or easier weeks can sometimes be arranged at the time of booking. We pride ourselves in offering expert tuition (which is available on request) so that you will return home a more confident (and faster) rider. A weeks stay with us includes 5 days guided riding with a rest day in the middle of the week. Guests who want to ride on their day off are welcome to set off from the door and we can provide a few suggested routes. Please also note that we are unable to do any guided riding on transfer days.